JANUARY 2015 – Happy Beginning of the New Year! 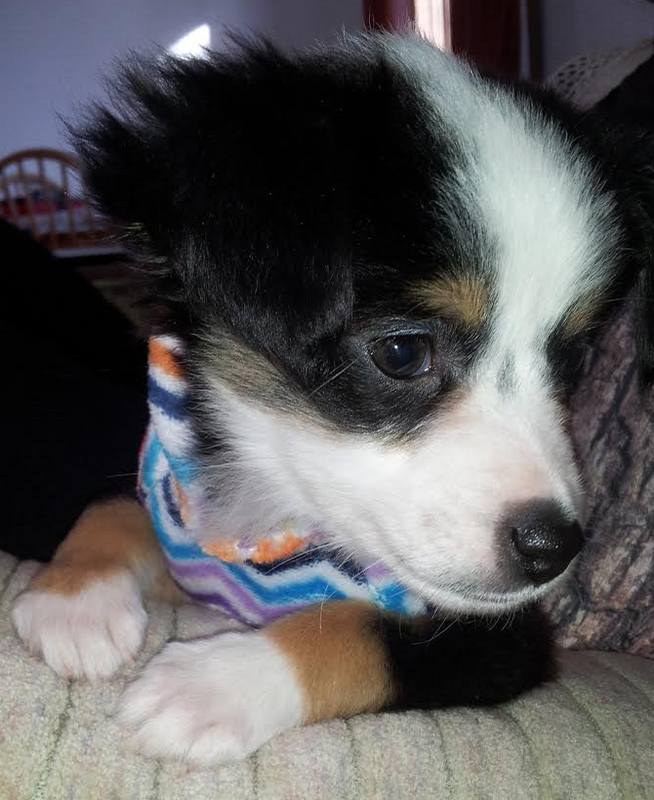 Our new puppy, Stella, she’s a Miniature Australian Shepherd. In January at Art By Jason Anhorn many projects are lined up. Jason will be drawing caricatures at several private and public events including corporate parties, hockey tournament, weddings, Family Fest at the Eau Claire Indoor Sports Center, Wisconsin Farmers Union Annual Convention, House of Rock concert Fathom, creating artwork for Downtown Eau Claire Incorporated (DECI) and more. Jason is working on several freelance projects including drawing from photographs, restoring painted designs on antique furniture and digital projects. Jason will be Snow Sculpting weekly at Boyd Park in Eau Claire, Wisconsin for Volume One’s Winter After Hours event. Jason will be competing with the Starvin’ Carvists at the 20th Annual National Snow Sculpting Competition in Lake Geneva, Wisconsin, defending a 2 year national title and going for 3 years in a row “Hat-Trick”. Jason is also planning on joining a group of friends at the beginning of February in northern Wisconsin for winter camping. Contact jasonanhorn@gmail.com today to hire an artist for your project and hire caricature artists for your event.